Haulaway Storage Containers offers shipping container Portland rental and sales. 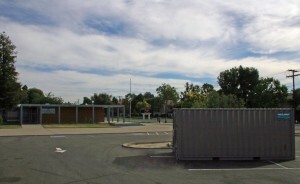 We are a dedicated storage container company serving the Western United States. When you need temporary storage at your facility or construction site, one call to Haulaway does it all. We deliver, place, and pick up a range of heavy duty steel storage containers, at your convenience and at a reasonable price. We also offer new and used conex containers for sale if you want to make a short term storage solution permanent. Not sure if purchase or rent is right for your project? Give us a call and we will help you find the most convenient and cost effective solution. What makes a shipping container the perfect storage solution for your Portland area projects? Shipping containers are spacious, secure, and easy to load and unload. Made of heavy gauge steel, they are designed to keep their loads safe during the loading and shipping process. This makes them perfect to keep your valuable tools, equipment, and materials safe and secure on even the most rough and tumble construction or industrial site. Haulaway Storage Containers is located just a quick twenty minute drive from downtown Portland. Our facility at 18420 SW 126th Place in Tualatin is located convenient to major roadways. Whether you are looking for Conex containers for sale or a single rental container for short term temporary storage, we can fill your order quickly and deliver it directly to your home or job site. Give us a call today to discuss your temporary or permanent on-site storage needs, and we will help you out with the perfect solution.